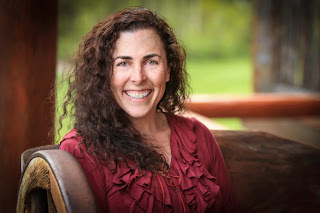 It's my pleasure to welcome Katie Ruggle to the blog today. Katie is a new, and exciting, voice in the world of Romantic Suspense. I've been devouring her Search and Rescue books as fast as they're released and can't wait for more! When she's not writing, Katie rides horses, shoots guns, and travels to warm places where she can scuba dive. A graduate of the police academy, Katie received her ice-rescue certification and can attest that the reservoirs in the Colorado mountains really are that cold. While she still misses her off-grid, solar-and-wind-powered house in the Rocky Mountains, she now lives in Rochester, Minnesota, near her family. Welcome, Katie! 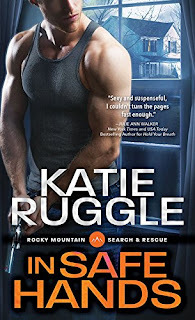 Your Search and Rescue series is one of my favorite new romantic suspense series. What was your inspiration for these books? and Rescue series; my life provided plenty of ideas. After all, I was living in the middle of the Colorado Rockies when I wrote these books. The wind howling outside made it easy to write about the cold and snowy setting. Also, while in cop school, I worked for a police department. My favorite part of the job was collecting and analyzing evidence from crime scenes (I admit to being a total forensics nerd). While doing volunteer work for a fire department, I received my cold-water rescue certification. Even when the idea for the Search and Rescue series was just a tiny mental seed, I knew that I wanted to feature first responders. I have a huge amount of respect and admiration for cops, firefighters, search and rescue members, EMTs—all those who risks their lives to make someone’s really bad day a little bit better. All these pieces of my life (plus a dead body) came together to become the Search and Rescue series. As noted in your bio above, you lived off the grid during your years in the Rocky Mountains. What was the most challenging part of that experience? What was the most rewarding? The most challenging part of living where I did (translation: middle of a very snowy nowhere where powerlines did not reach) was learning that cabin fever is a real thing. After about ten days of being snowed in, when the county plow finally (finally!) made it through the drifts covering the nearby road, I had to restrain myself from chasing the plow truck down so I could talk to the driver (a real, live person!). I’m pretty independent and can handle lots of alone time, but, after a while, talking to the dogs just didn’t cut it. The most rewarding part of my off-grid experience was knowing that I was truly self-sufficient (well, except for propane for the back-up generator) as far as my power needs went. I was getting energy from the sun and wind—how awesome is that? I also loved that my dinged-up, thirteen-year-old pickup with a non-matching topper was the nicest, newest truck in the neighborhood. It’s all relative, I guess. The twist at the end of Gone Too Deep had me screaming, “OMG! WHAT JUST HAPPENED?!?! ?” How long will we have to wait for the next book? Will that book wrap up the series? Heh. Yeah, that was fun to write. 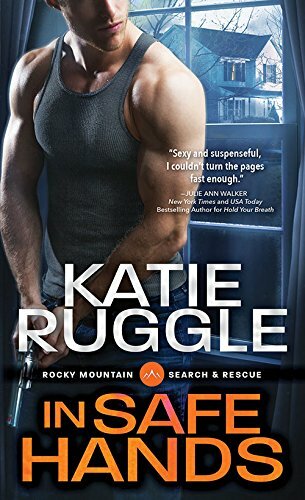 Don’t worry, though—In Safe Hands, the fourth and final book in the Search and Rescue series, will be out in just two months (October 4, 2016). I have a sweet rescue dog who “helps” me write reviews. Do you have any pets who give you moral support while writing? Hmm…I’m not sure about moral support, although my three dogs do offer plenty of opportunities to procrastinate (they want to go out; they want to come in; they’re hungry; they’re bored; the mailman’s here; OMG!OMG!OMG!! IT’S A BUNNY!!!!). I call my place the island of misfit dogs, since I have two Australian Shepherds who have no interest in herding (one took off after a butterfly in the middle of a herding lesson like the poster child for canine ADD) and a Great Pyrenees/Anatolian Shepherd mix who was supposed to be my livestock guardian and watch over my chickens. When she heard the coyotes yipping in the distance, however, she’d run inside and hide under the bed. I want to meet your dogs! I think they'd get along great with my 80-pound Rottweiler mix who thinks she's a lap dog and is terrified of the six-pound chihuahua that lives upstairs. We also have OMG!OMG!OMG! IT'S A BUNNY!!!! moments here. Many of them. What’s next? Will there be more books in 2017? I’m hard at work on the Rocky Mountain K-9 Unit series. There are women on the run, hot cops, heroic dogs, and lots of explosions. What more could anyone want? These three books will be out in 2017. Sounds like my kind of books! Thanks for visiting with us today, Katie. Would you like to ask our readers a question? To readers: While researching winter camping for Gone Too Deep, I was reminded how very much I dislike sleeping in a tent. Although I love outdoor activities—hiking, horseback riding, target shooting, biking, cross-country skiing, ATV-ing, running—I want a shower and a soft bed when I’m done. What about you? Do you want to sleep under the stars, or are you sprinting to the nearest hotel with me? 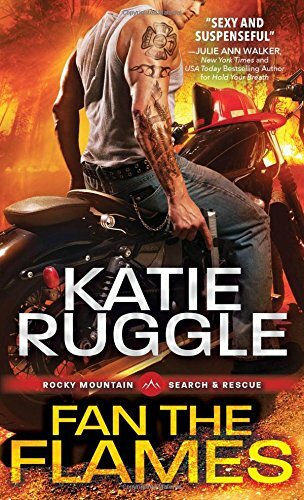 One randomly chosen person leaving a comment before 11:00 pm, August 6, 2016 will receive a copy of Hold Your Breath, the first book in Katie's Search and Rescue series. George Holloway has spent his life alone, exploring the treacherous beauty of the Colorado Rockies. 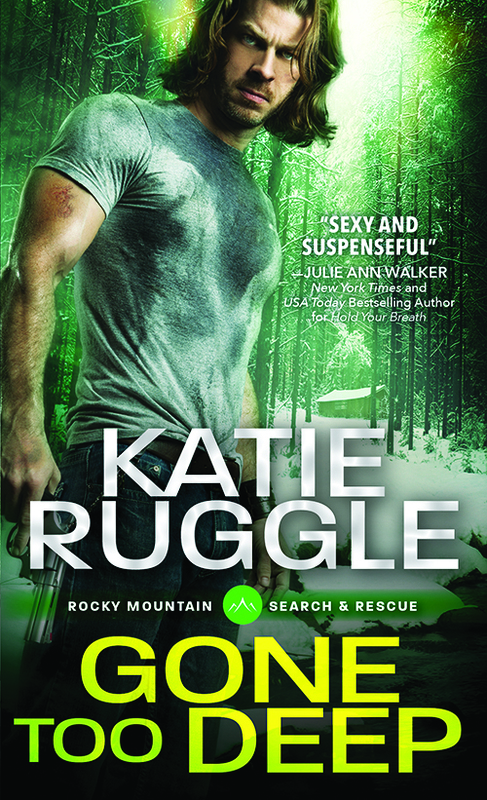 He’s the best survival expert Search and Rescue has, which makes him the obvious choice to lead Ellie Price through deadly terrain to find her missing father. There’s just one problem—Ellie’s everything George isn’t. She’s a city girl, charming, gregarious, delicate, small. And when she looks up at him with those big, dark eyes, he swears he would tear the world apart to keep her safe. I've not read her as yet but I enjoy this genre - sounds good! I'm enjoying the heck out of this series, catslady. There's a prequel novella and four books. The fourth book comes out this fall. They should definitely be read in order. These books sound interesting . I have to say that it's a hotel for sure. There's nothing more beautiful then looking up at a sky filled with stars. But at my age now I want plumbing and a comfortable bed.. I also want to just add that first responders don't get the respect they really, really deserve.Thanks for a very interesting post. Back in my thirties, the dh and I bought six acres in the country where we had planned to eventually build a house. After we cleared the property, we bought a tent and used to camp out there every weekend. I loved it and cherish those memories but, nowadays, I'd head straight to a hotel. The body isn't what it used to be! LOL! WE went on a trip to several national parks last year. I can take camping out in small doses, 2-3 nights then I need a bed and a shower! Love looking at the night sky, Campfires are neat too. I don't want to freeze! Campfires and stargazing were my favorite parts of camping, Laurie. I haven't been to a National Park in years. Sounds good! I love these kinds of book! Thanks! Debbie, I love finding new authors who are writing books I enjoy so much. Hope you give them a try! have enjoyed all 3 books in the series--keep writing! I want a soft bed with a shower! Great books. I did a lot of camping years ago - family camping vacations & girl scouts. These days I'd rather sleep in a bed, with air conditioning or heat and indoor plumbing. Tho if the right opportunity presented, I might be persuaded to rough it a bit. I might be persuaded...for one night. Much more than that and I'm not sure these old joints would be willing to move. LOL! I want a soft bed for the night. New author that has been recommended earlier today. Will check you out. I highly recommend her, Pamela!